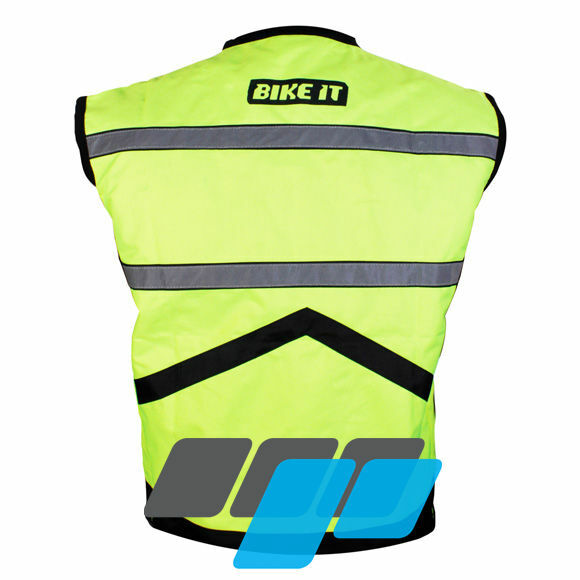 This Hi-Vis reflective gilet is a hard-wearing premium hi-visibility garment for wearing over motorcycle jackets. 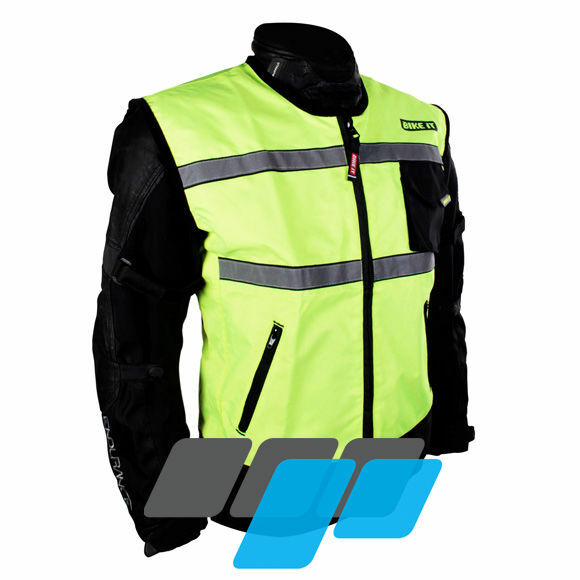 Manufactured from tough Maxdura material, an extremely hard-wearing polyester fabric offering high abrasion properties ideal for motorcycle garments, featuring a mesh comfort-lining with Hi-visibility fluoro yellow colour with reflective trims on front and rear for increased on-road visibility in day and night conditions. 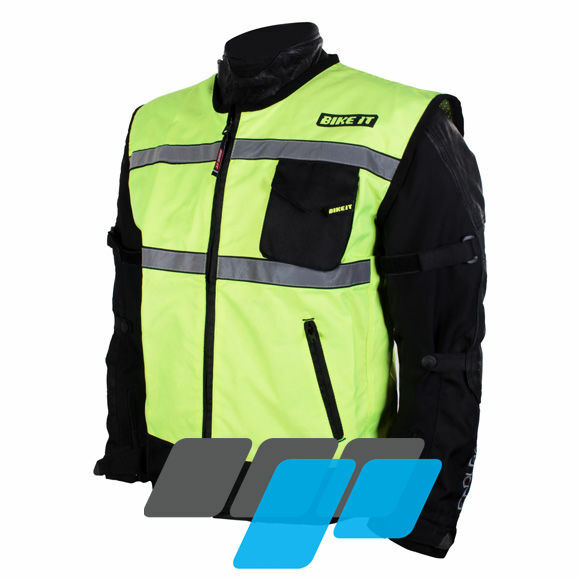 Features two zipped front waist pockets and one chest pocket with over flap. 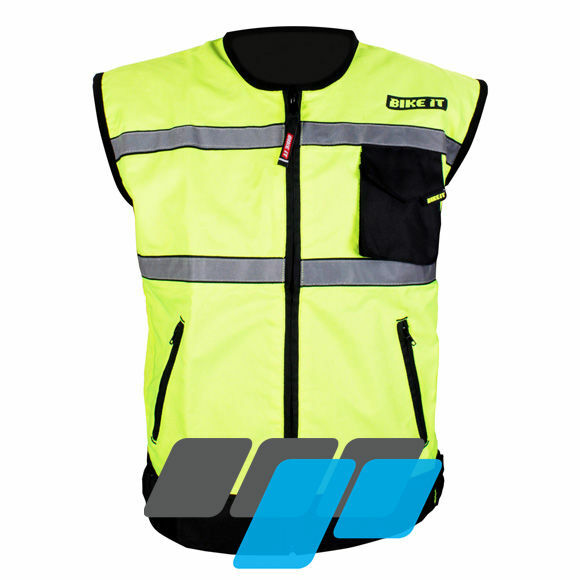 Fully adjustable with velcro waist fasteners.